For every good Mad Hatter in the Batman world of DC Comics, he needs an Alice to obsess over. In Gotham, they'll be turning that a little bit on its head, making Alice his sister, played by Naian Gonzalez Norvind, a relative newcomer to American TV, Variety reports. 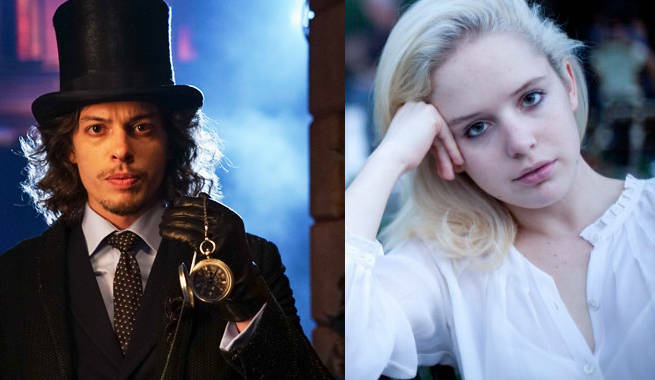 In the season three storyline, Alice Tetch has a powerful ability she was born with, that she thinks is a curse and Jervis Tetch aka Mad Hatter, played by Benedict Samuel (The Walking Dead), thinks is a gift. FOX isn't saying what that ability is yet, however. Given the Mad Hatter's mind control technology in virtually every iteration of the character in DC lore, and his starting as just a hypnotist with "hopes of unleashing her gift on the world" according to the character description, it's even money that her ability has something to do with controlling other people's actions. Norvid has recently been on stage in Her Requiem, in a Spanish language film Las Siertas Muertes, and is heading to the big screen in Danny Strong's Rebel in the Rye, a J.D. Salinger biography also starring Kevin Spacey and Nicholas Hoult. The most popular and well-known version of the Mad Hatter thus far, on Batman: The Animated Series in the early nineties, featured a Hatter who had advanced technology allowing him to control his victim's minds and actions using mechanical cards. In that version, however, his Alice was a romantic interest, a co-worker of his. His Alice In Wonderland theme extended quite far, using an amusement park, quoting from the books, and dressing up goons in familiar trappings of that world. How far he'll take it in Gotham remains to be seen. Gotham season three premieres September 19, 2016 on FOX. You can see a first look at Mad Hatter's Lair and the creepy objects therein in the gallery below from Comicbook.com's visit to the set last week.